Moncler has discovered the romantic side of sporty with the Dili. 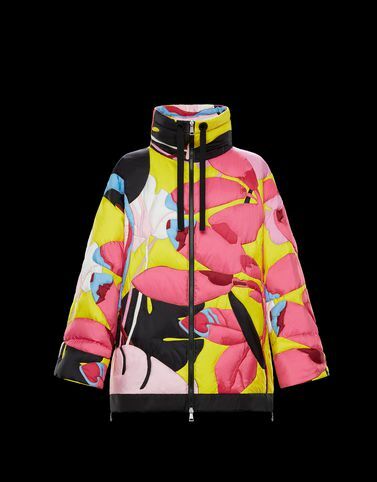 This down filled jacket features the Macro Flower print and is quilted by hand, following the contours of the flower pattern. A high-end outerwear piece with state-of-the-art decorative techniques destined to become a world renowned icon. With a fixed drawcord hood, it is the perfect garment to flaunt on those first sunny days of spring.